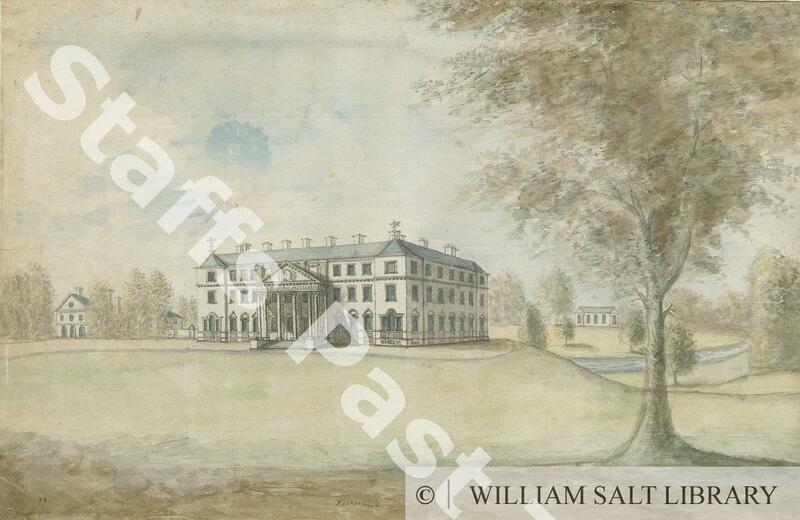 Description:Showing the new house from plans of Lancelot Browne, finished in 1774. 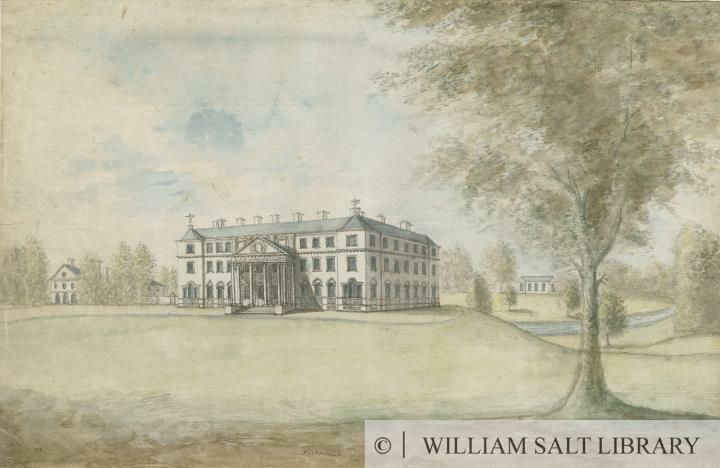 South east view of an immense building with a central portico supporting a pediment. Along the frieze the MDCCLXXIV. There are stables to the left, and an Orangery in the park to the right. Anonymous (Rev S. Shaw).